For a third consecutive morning there was heavy rain. 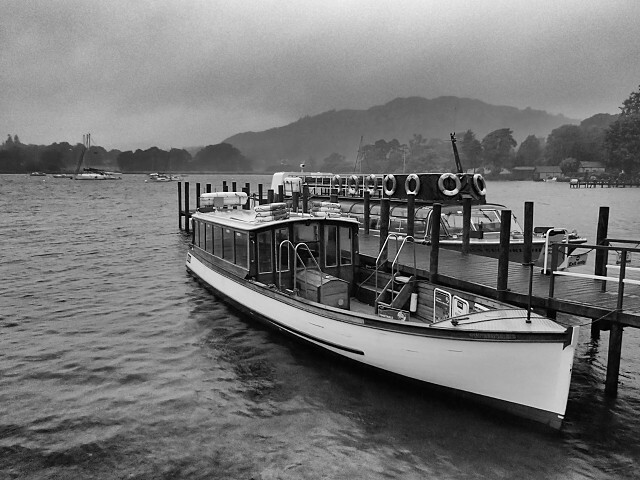 I combined a drive to the local shops (the rain had to be bad for me to take the car) with a detour via Waterhead for a blip. Spent a few minutes by the lakeshore capturing the view with umbrella in one hand and camera in the other. Instead of getting exercise myself I've spent much of the day watching the Commonwealth Games on television.